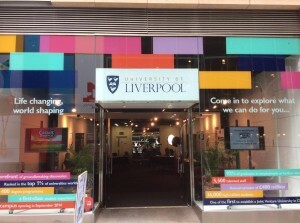 PGR Development are keen to launch a new interdisciplinary public engagement forum that will link the research community with the general public across the city of Liverpool. As an inaugural event, we have arranged for a PGR to deliver a talk at the University of Liverpool Pop-up Shop in Liverpool One. Why not take a break on Wednesday and come down to hear more about the forum and support the innovative research that is taking place at the University. The talk is for 20 minutes with an opportunity for questions and answers following. Cold drinks will be available. Why is our modern culture obsessed with zombies? It was once vampires, now we are inundated with the other type of ‘undead’ . We’ll be exploring this cultural phenomenon and asking questions about what zombies mean to our modern culture, what they suggest about class, race and sexuality. then come along and help shape an exciting new series of events!